Pamphlets advertising has been proven to be one of the highly successful and cost effective methods of ensuring your message gets into the right hands and minds of your actual target Market. Pamphlet distribution cost is 1/10th of the cost of Newspaper advertisement. When the advertisement is for local market pamphlet distribution/pamphlet advertising is a better option. Hanks Advertising is the pioneer of Pamphlet Distribution in Mumbai, Pamphlet Distribution in Delhi, Pamphlet Distribution in Kolkata, Pamphlet Distribution in Bangalore, Pamphlet Distribution in Gujarat, Pamphlet Distribution in Hyderabad, Pamphlet Distribution in Pune. Pamphlet Distribution in Chennai. 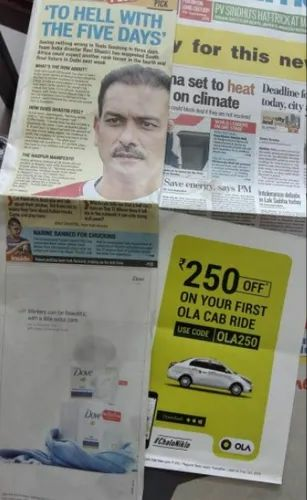 Hanks Advertising operates on PAN INDIA.